December 27, 2018 - Orange Beach, AL - (OBA®) - The Orange Beach Garden Club has named the winners of the 2018 “Light Up Orange Beach” contest. December 26, 2018 - Orange Beach, AL - (OBA®) - The Monthly Community Potluck will be held on Monday, January 7th at the Orange Beach Community Center, featuring ballet dancers from the Coastal Ballet Academy demonstrating several types of dance narrated by the academy's artistic director. December 22, 2018 – Orange Beach, AL (OBA®) – Orange Beach police say an accidental shooting in Bear Point on Friday night is still under investigation but Lt. Carl Bradley said they believe it was just that – an accident. December 22, 2018 - Orange Beach, AL - (OBA®) - The 2019 Big Community Yard & Craft Sale will be held on Saturday, January 19, from 7 a.m. to noon at the Orange Beach Community Center. The annual event is a fundraiser for the Cystic Fibrosis Foundation. Make checks payable to the Cystic Fibrosis Foundation. December 21, 2018 – Orange Beach, AL (OBA®) - At least 13 OBA Community Website restaurants will be open on Christmas Eve and three of those will be serving on Christmas Day as well. Those three are iconic names on the Gulf Coast with Doc’s Seafood Shack and Oyster Bar and the Flora-Bama Lounge and Oyster Bar in Orange Beach and Hazel’s Nook in Gulf Shores open on the holiday. Serving on Christmas Eve will be three Tacky Jack locations in Orange Beach, Gulf Shores and Fort Morgan, Bill’s By the Beach, Brick and Spoon, The Ruby Slipper, Bayes Southern Bar and Grill, Barefoot Island Grill, Duck’s Diner and Gilbey’s Seafood and Steak. December 20, 2018 - Foley, AL - (OBA®) - On Wednesday, December 19, 2018, at approximately 6 p.m. a Foley Police Officer observed a vehicle stopped in the southbound lane of Highway 59 at the intersection of Highway 98. As the officer approached what he suspected was a disable vehicle, he observed that the driver was passed out behind the wheel. December 18, 2018 - Perdido Key, FL - (OBA®) - What did the Perdido Chamber accomplish in 2018? 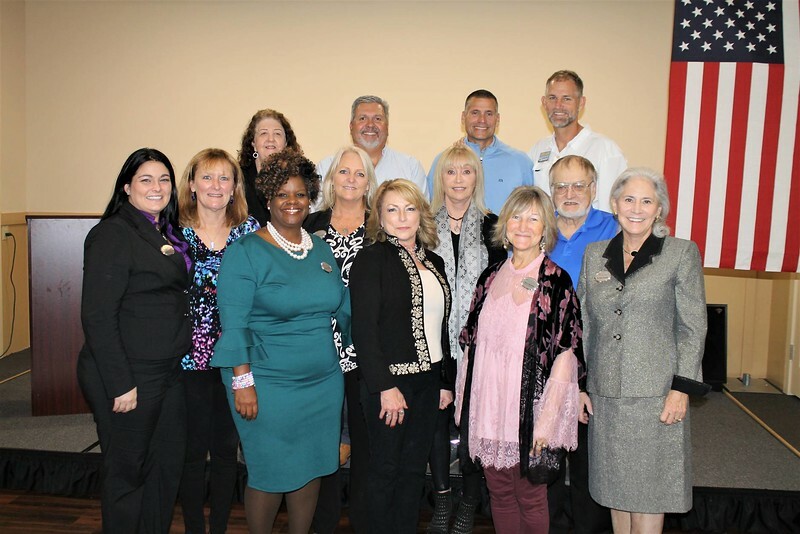 Members and Community members attended the Perdido Chamber’s Annual meeting on November 30, 2018 to reflect on how far we have come within the past year, discover what’s next for our area, and of course hear the winners for the 2018 Keys to Success Awards. The 2018 Annual Meeting and Awards program began with a welcome by the 2018 Chairman of the Board, Cameron Price of the Flora-Bama. After leading a successful year as chairman of the board, he wistfully reflected on how far the chamber has come in such a short period of time, and shared excitement about where we are headed in the future. December 15, 2018 - Orange Beach, AL - (OBA®) - During the Christmas holiday, non-essential City of Orange Beach offices will be closed on Monday and Tuesday, December 24th-25th. Trash and recycling routes will run one day behind starting the day after Christmas. December 14, 2018 – Orange Beach, AL (OBA®) - It’s not a question you hear every day. Vinson, the Coastal Programs Coordinator for the City of Orange Beach’s Wildlife Management Center and Management Program, climbed in one this summer to get up close and personal with an osprey. “It was the inside part underneath where the water is stored,” Vinson said. December 13, 2018 – Orange Beach, AL (OBA®) – As parents split into groups of those with high school students and those with middle school students each group ended up with the same first topic of discussion. The parents gathered at the Orange Beach Community Center on Dec. 12 to ask questions and raise concerns about the new school Baldwin County is building on Canal Road. At the top of the list for both groups was athletics. December 13, 2018 - Orange Beach, AL - (OBA®) - The Orange Beach Garden Club's annual “Light Up Orange Beach” contest will award cash to the owners of the best-decorated homes, and recognize local businesses that are all decked out for Christmas. For over 30 years, the Garden Club has held this annual contest. December 12, 2018 – Orange Beach, AL (OBA®) – Orange Beach residents could give the police department a big assist if they would take one simple step: locking car doors. A spate of car “break-ins” along two streets in the southeastern part of the city off of Marina Road and Cotton Bayou Drive led to loss of property, cash, cars and, in one case, a gun. The chief’s report came during a dual council meeting-work session on Dec. 11, the final council meeting of 2018. December 12, 2018 – Orange Beach, AL (OBA®) – Celebrate the birth of Jesus at a variety of churches this year in both Gulf Shores and Orange Beach. There are denominations of all kinds as well as nondenominational services available all over the island. Find a place for your celebration on our list. Orange Beach United Methodist will have two services on Christmas Eve. There will be a casual family-type service at 3:30 p.m. and at 5 p.m. the church will have its traditional candlelight service. December 10, 2018 – Orange Beach, AL (OBA®) – Annadelle Faulkner conveyed her Christmas wishes to Santa Claus at the Flora-Bama recently, one of very few days she’s been out of the hospital since the first week of October. “We were admitted to the hospital Oct. 1 and we hadn’t been home since,” her mom, Neeli Faulkner said. That changed recently when Annadelle was released to the Ronald McDonald House across the street from Children’s of Alabama Hospital in Birmingham. Recently the family took a two-day weekend and spent it at their home in Orange Beach where a Christmas surprise awaited them. December 5, 2018 - Orange Beach, AL - (OBA®) - Due to the forecast for heavy rain and storms on Saturday December 8th and concern for the spectators, captains and crews, the Chamber's 2018 Lighted Boat Parade has been cancelled. This is the first time in its 33 year history that the parade had to be cancelled. Out of respect for the cities, businesses and other activities scheduled in Gulf Shores and Orange Beach the committee decided not to reschedule it. December 4, 2018 - Orange Beach, AL - (OBA®) - Treat yourself to an incomparable New Year's Eve experience at Perdido Beach Resort in Orange Beach. PBR offers revelers a memorable evening featuring a world-class culinary experience in either the Grand Ballroom or Voyagers, with the hottest music, lights, and tastes on the Gulf Coast! December 3, 2018 - Orange Beach, AL - (OBA®) - Youth-Reach’s two campuses in Baldwin County and Houston have successfully turned the lives of thousands of troubled young men around since it started in 1984. The Baldwin County operation has been turning lives around since 2008, closed temporarily from January of 2012 to May of 2013 and has been operating since. About 200 young men have been through the program. November 29, 2018 - Orange Beach, AL - (OBA®) - The Hugh S. Branyon Backcountry Trail Foundation will host Winter Wonderland from 4 p.m. to 8 p.m. on Wednesday, December 19th at the trailhead at the Orange Beach Sportsplex. November 26, 2018 - Gulf Shores, AL - (OBA®) – After 23 years as Zoo Director of the Alabama Gulf Coast Zoo, Patti Hall has formally stepped down and Dr. Adam Langston, the zoo’s longtime veterinarian, has taken up the role of interim director. It was announced by Steve Jones, Chairman of the zoo’s board of directors, that Hall will become the zoo’s first Director Emeritus and that these changes will take effect immediately. 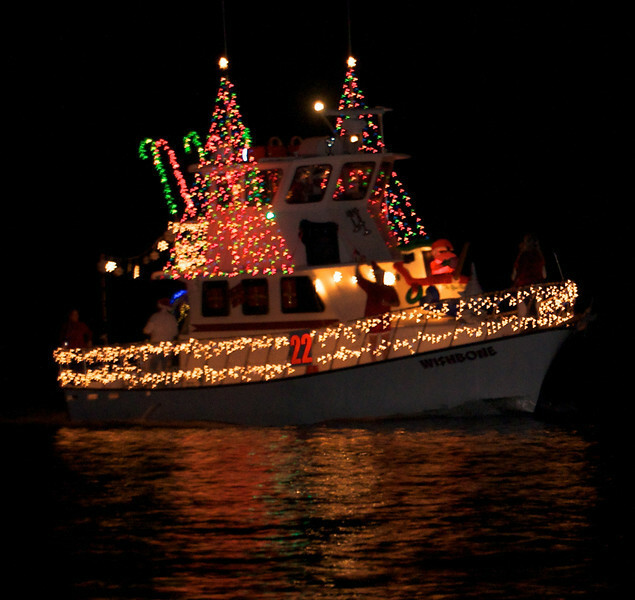 November 21, 2018 - Orange Beach, AL - (OBA®) - The 33rd Annual Christmas Lighted Boat Parade is Saturday, December 8th and the Coastal Alabama Business Chamber would like your help. They are needing local boat owners to participate and enter a decorated boat in the parade. The Boat Parade has been a proud tradition for decades and brings over 25,000 viewers to the island for the event. people get their friends or family and make the trek from LuLu's down the Intercoastal Canal, by The Wharf and in front of Ono island.